President and CEO, SPI Pharma Inc.
A global executive in the Life Science and Pharmaceutical Ingredients Industry, Jeanne Thoma is an experienced turnaround leader. She is skilled in strategy development, implementation, and organization design. Jeanne has successfully built high-performing organizations that focus on the customer, are able to attract and retain talent, and consistently deliver profitable growth. She is a dedicated mentor, an Angel investor, and a lifetime learner. 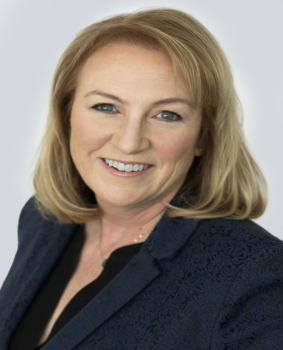 Jeanne is the President and CEO of SPI Pharma Inc. SPI Pharma is focused on making a difference; in the effective treatment of patients, in helping our customers to develop better formulations, and in the lives of our employees and our communities. SPI Pharma develops technologies, drug delivery platforms, formulation, and ingredients for the Pharmaceutical Industry. Prior to joining SPI Pharma, Jeanne spent 10 years living in Basel, Switzerland working for Lonza, Ag. The majority of this time as the President and COO of the Microbial Control Business. Jeanne joined Lonza as the CHRO. Jeanne’s career experience also includes 15 years at BASF Corp. The majority of this time was in the Pharma Solutions business where she held various leadership positions in Sales, Marketing and Operations. Jeanne has attended executive education courses at INSEAD, The University of Chicago Booth School of Business, and London Business School. She holds an MBA from Fairleigh Dickinson University, and a BS from Montclair State University. She is a member of the Board of Directors, of Société de Chimie Industrielle; a member of The Executive Forum; and a member of CEO Connection. Past memberships include: Board Member of The Funding Network; Mentoring volunteer at The Ally NYC; the Healthcare Businesswomen’s Association (both North American and European Chapters); Two, four-year terms as a member of the Board of Directors for the Drug Chemical and Associated Technologies Association (DCAT).